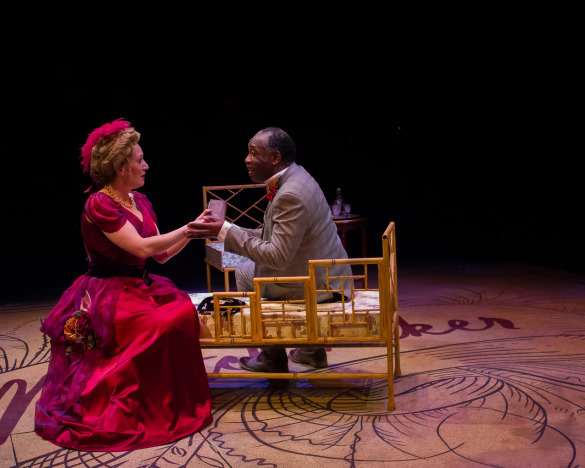 From the moment Robert Jason Jackson begins speaking in his deep, resonant voice as Horace Vandergelder, you know several positive things about Douglas C. Wager’s production of “The Matchmaker” for Temple Theaters. You know you have an actor of magnitude who can set a tone that is both realistic and comic. You know Thornton Wilder’s too-rarely-done romp about romance, adventure, and the true value of money will be well played and entertaining. You know you will see a Vandergelder like no other, one who doesn’t push his lines or overplay his curmudgeonly type, but one who is living the part as a plutocrat, autocrat, and a man who sees the world for what it is, a repository for fools, and who isn’t interested in anyone else’s opinion on the subject. Jackson appears, and comedy is afoot. From the way he moves his head while Steve Harding’s barber is trying to shave him, warning now and then about just missing an ear or a tear near the throat, or the way he barks at his niece, Ermengarde, or his chief clerk, Cornelius Hackl, you see an actor who knows his business on stage and who can elicit laughs while playing his farcical part perfectly straight. Harding, Irish accent in tow, adds to the opening scene with his cautionary words to the incorrigibly mobile and mortally vulnerable Vandergelder. Jackson starts the proceedings. With no pun intended, he meets his match in the equally sterling performance Julie Czarnecki turns in as the iconic Dolly Gallagher Levi, widow of Ephraim Levi and a woman of the world. Like Jackson, Czarnecki avoids any stereotype to make Dolly her own. She is not madcap, fussy, or overt. She is a sophisticate who observes life, takes things for what they’re worth, avoids being critical, and shrewdly manipulates matters for her benefit, one she’s pre-determined. Czarnecki is a Dolly of stature. She is adult and cunning. She is also an affirmer of life, one who likes to see people celebrating and enjoying their existence and not merely toiling, having simple meals, and going to sleep. Dolly is a leavener. She is willing to accept the hijinks and foibles of others. She enjoys a joke and an adventure. But Czarnecki keeps her sensible and wisely above the fray. Hers is a Dolly who can calculate in a nanosecond and know exactly to engineer the outcome she desires. Irene Molloy is the character who says, “The world is full of wonderful things,” but it is Dolly who knows that to the marrow of her bones and practices it for the pleasure of the profit of all around her. Czarnecki’s portrayal is refreshing. She can convey the seriousness of business with the spirit of a gal who knows how to have a good time, the professional savvy of Ann Sheridan or Ann Sothern blended with touches of Mae West. With Czarnecki and Jackson playing the focal characters, Wager’s “The Matchmaker” could not help but be a treat. It is easily the best production I’ve seen at Temple in recent years (Dan Kern’s “Macbeth” and Wager’s “Odd Girl Out” being the runners-up). These steadfast pros set a good example for their younger castmates, several of whom show their talent and potential in Wager’s bright and fast-moving production played on the stage of Temple’s Tomlinson Theater with the audience seated on either side of the centered stage. Today, “The Matchmaker” may best be known as the model for Jerry Herman’s musical, “Hello Dolly,” soon to surface at the Media Theatre with Andrea McArdle in the lead. Whether Wilder of Herman is at the helm, both renditions, the musical being slightly different in its second act, are sturdy entertainment vehicles. You can hear Herman’s song cues in Wilder’s dialogue. When Cornelius, Irene, Barnaby, and Minnie Fay sing during a scene in Irene’s hat shop, you half hope they’ll burst into “Motherhood,” but Wager keeps all disciplined by having them croon, in perfect four-part harmony, the Civil War ditty, “Tenting Tonight,” more appropriate for the period in which “The Matchmaker” is played. Adroit pacing and a slew of good performances keep Wager’s production moving and engaging whether or not Jackson or Czarnecki preside. As a former Cornelius and Barnaby, I was proud of David Lawrence Glover and Holly Grum in those parts. Glover is especially adept at turning the many corners Cornelius must negotiate as he faces constant surprises and quirks of fortune. He is quick to pick up hints Dolly offers to smooth an awkward situation and just as sharp when a waiter at the Harmonia Gardens brings him the wallet, Vandergelder’s, he assumes he lost. Cornelius must be constantly on his toes and ready to cope with anything that erupts. Glover knows how to turn momentary confusion into casual normality, and he drives the scenes he is in. Grum uses her diminutiveness to advantage as she shows the wonder 17-year-old Barnaby feels as he has an adventure beyond expectation in a world or purposeful adults. She makes a handsome lad, but best of all, she can react in ways Cornelius, who has to be suave no matter the jam he’s in, cannot. It is from Barnaby’s “holy cabooses” we know how an inexperienced young person feels when dealing with the loss or reversal of everything he knows. 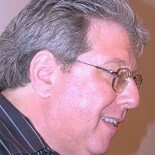 Wilder likes to point out the morals in his story, and Wager and lighting designer, Aaron Crosby, have a surefire technique to give Dolly, Cornelius, Irene, and other characters the chance to make their words and intents known. A bell is sounded, and the speaking character is bathed in a spotlight that eliminates everything on the set but him or her. Dolly or whomever can then spout the philosophy he or she wants to impart. I particularly like Dolly speech, also in Herman’s musical, about money being like manure, no good unless it’s spread around helping things to grow. I also believe as Dolly does that the difference between a little money and riches is relatively small while the difference between a little money and no money at all is the world. As Irene, Horner, like Czarnecki, is not afraid to convey maturity. She is a widow, a shop owner, and the eldest among Cornelius, Barnaby, and Minnie Fay. Horner maintains a certain sophistication and hauteur while also being game for a joke. Irene knows full well Cornelius is not the sought-after swain Dolly advertises him as and he tries to live up to. She, like the lads from Yonkers, wants an adventure, and she is determined to have it. She reasons that since the respectable world considers milliners to be wanton women, she will enjoy the reputation for once. Mary Kate Foley is a pert accomplice as Minnie Fay. The senior characters, including Horner’s Irene, show the way in Wager’s production. In a sequence not repeated in “Hello Dolly,” all of the characters end the play in the home of Flora Von Huysen, a friend Vandergelder has enlisted to watch his niece, Ermengarde, to make sure she doesn’t elope with a man he considers a fool and a good-for-nothing artist, Ambrose Kemper. Cody Gallagher is wonderful in the Von Huysen role. She is simultaneously cranky and conspiratorial, a strict old bat that has her standards and insists on being obeyed while also being a romantic who wants to help Ermengarde and Ambrose thwart Vandergelder and go off on their marital adventure. Like Jackson and Czarnecki, Gallagher never pushes the comedy. She plays the character as a keen-eyed woman who is also a tad eccentric and carried away with the idea of fooling Horace and aiding Ermengarde. From the time Cornelius and Barnaby, attired as a woman, arrive at Flora’s, Gallagher dominates and does so with skill that entertains while keeping the production focused. Throughout the production, Daniel Barland is an excellent Ambrose Kemper, standing his ground against Vandergelder, reassuring the emotional and teary-eyed Ermengarde, taking cues from Dolly, and being firm with the Harmonia Gardens staff. Barland is a deft comedian while he also shows Ambrose’s pride and determination to wed Ermengarde, no matter what Vangergelder may do. Marcellus McQueen is a delightful cabman, who is willing to follow Vandergelder’s nefarious instructions regarding Ambrose and Ermengarde for a neat $20 tip that grows to $50 before the negotiations end. Amanda Shaffern is nicely sassy as Flora’s cook but strikes the one corny note in Wager’s production when, earlier, she plays Vandergelder’s maid and affects a funny walk, the style of which is not in keeping with the rest of Wager’s staging. James Reilly is funny as a put-upon waiter. Maxwell Ferguson is properly exasperated as the headwaiter, Rudolph. Kalen Allen is lively as the slippery Malachi Stacks. Gabrielle Huggins conveys fear and tears well as Ermengarde. Mandy Goynes does wonders with the set. As the audience gathers, there’s a bare floor with a “Matchmaker” logo between the two sections of seats. With great efficiency and thoroughness, Goynes transforms the emptiness to a handsome office for Vandergelder, complete with trap door for Cornelius and Ambrose to use conveniently, a well-appointed hat shop for Irene with walls of hats and other necessities coming in from the wings, a simple but elegant Harmonia Gardens, and a lovely salon for Flora Von Huysen. Kabrina Feickert’s costumes, especially her accurate boy’s suit for Barnaby, were on the mark. Robert Carlton’s sound design adds to the production, especially when we hear the cans of tomatoes explode and the bell sounds for Wilder’s moral soliloquies. “The Matchmaker” runs through April 4 at the Tomlinson Theater on Temple’s campus at 13th and Norris Streets, in Philadelphia, Show time is 7:30 p.m. Tickets are $25 and can be ordered by calling 215-204-1122 or by visiting www.temple.edu/theater. 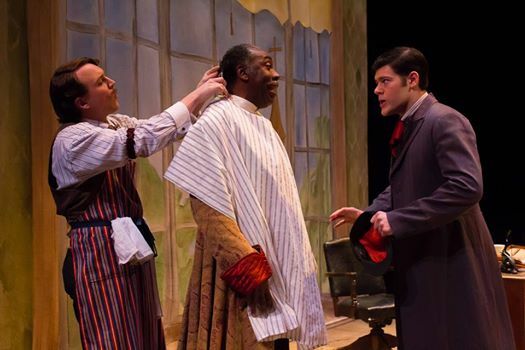 This entry was posted on April 4, 2015 by nzoren in Theater Reviews and tagged Cody Gallagher, Daniel Barland, David Lawrence Glover, Douglas C. Wager, Holly Grum, Julie Czarnecki, Mandy Goynes, Marcellus McQueen, Maxwell Ferguson, Philadelphia Theater, Robert Jason Jackson, Temple Theaters, Temple University, The Matchmaker, Thornton Wilder, Tomlinson Theater.